Are you a fan of cartoons? 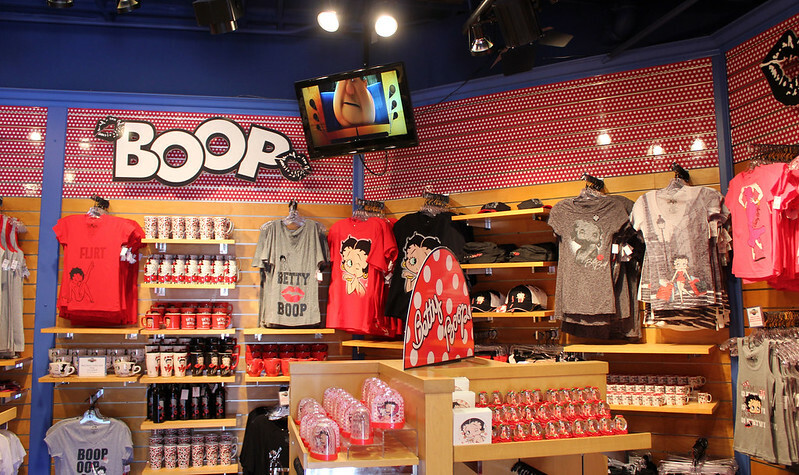 Hollywood’s premiere cartoon shop, Cartooniversal features merchandise from some of the world’s most popular cartoon franchises, including Despicable Me, Dr. Seuss, Betty Boop, Hello Kitty and more. Dedicated to the young (and young at heart), Cartooniversal is your go-to place for anything cartoon related. 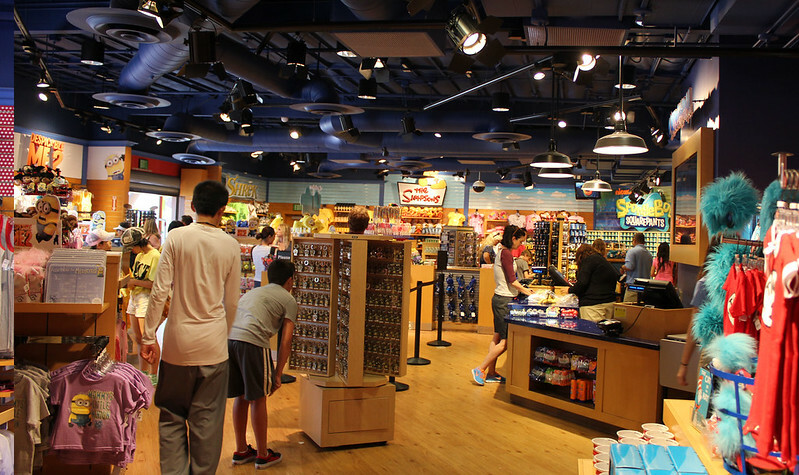 While some of Cartooniversal’s merchandise may be duplicated across the park (such as items based off Despicable Me, which may be found at the Upper Lot’s Super Silly Stuff or the Lower Lot’s Character Shop), other franchises – specifically Hello Kitty, Spongebob, Shrek, Simpsons, and Betty Boop – can only be found here. Cartooniversal is located across from WaterWorld and Universal Plaza near the park’s entrance. There are two entrances – one with a Betty Boop entrance (facing WaterWorld), and the other featuring Spongebob Squarepants (facing Universal Plaza). Cartooniversal carries stuffed animals, sipper cups, shirts, cups, towels, key chains, candy, and toys themed after Hello Kitty, Betty Boop, Spongebob Squarepants, Shrek, Despicable Me and Dr. Seuss. Like Betty Boop, Hello Kitty, or Spongebob Squarepants? Cartooniversal is the exclusive home of Hello Kitty at Universal Studios Hollywood. You may not know this, but Sanrio – maker of Hello Kitty – signed an agreement with Universal back in 2015 that allows the park to sell unique Universal and Hello Kitty branded products. While this agreement has yet to reach complete fruition, you can still find exclusive Hello Kitty-branded items in this store. 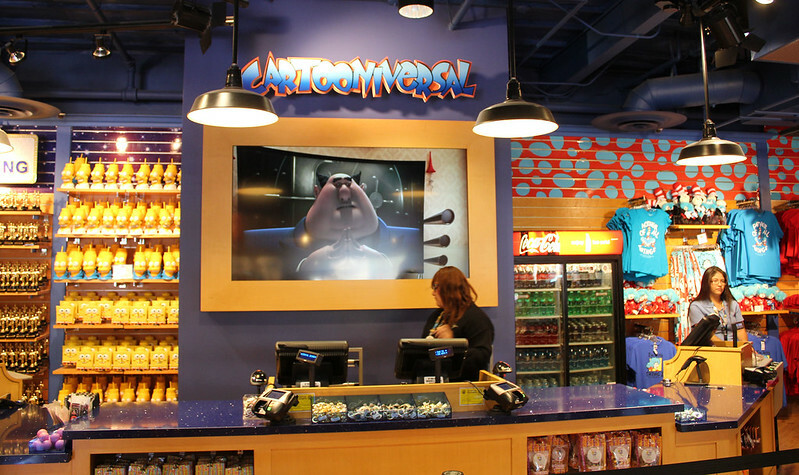 Cartooniversal is also the exclusive home of themed candy based on E.T., Shrek 4D, Dr. Suess, Betty Boop and Despicable Me! The store has an entire shelf dedicated to movie-based candy. 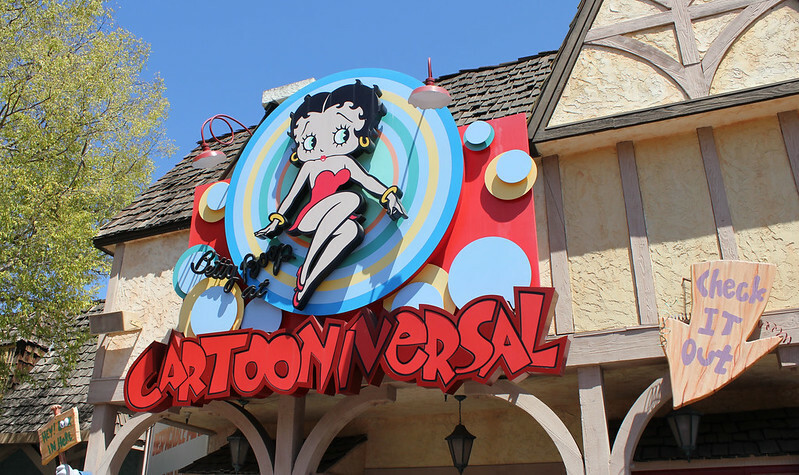 In addition, Betty Boop themed shirts, cups, and snow globes can also be found exclusively at Cartooniversal alongside apparel from Spongebob Squarepants.